The window installations “Wollspuren” and “Zusammenhängend” in collaboration with Simone Thiele can be seen in the windows of Fensterkuration, Unterer Heuberg 22, in Basel. Between painting and sculpture, the threads create their own paths. As a new member of Visarte Basel I am showing an expanded version of “Stücke” at Projektraum 54 in Basel from Mai 26.- June 11 2017. On September 15th kreaB organises the “Tour de Création”, open studios in the area of Bärenfelser- and Mörsbergerstrasse in Basel. 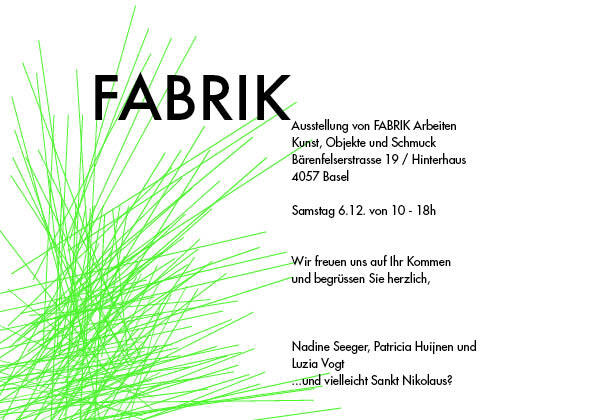 Come visit our studio Fabrik at Bärenfelserstrasse 19, between 16h and 20h. View my installation “Stücke” at Fenster Basel, located on St.Johannsring between Hebelstrasse and Metzerstrasse in Basel. Open 24hrs. “Stücke” is a series of recreated and found objects, lids, bits and bites. Through changes in material and shape these everyday objects gain a surrealistic quality with bodily associations. From 26.11.2015 – 3.1.2016 my work “Spoon” will be shown at FABRIKculture and the piece “Women’s products”, which has been shipped from Vancouver, can be seen at Kunsthalle Palazzo. These shows are part of Regionale 16. From 13.12.2015 – 31.1.2016 the piece “I Will Speak the Words it Would Say if it Could Talk” will be on show at Musée jurassien des Arts. This show is part of Cantonale Berne Jura. Discover my knitted pieces and new projects! In June 2014 Andres Wanner and I present a paper, on knitting, patterns and mathematics at xCoAx conference in Porto. 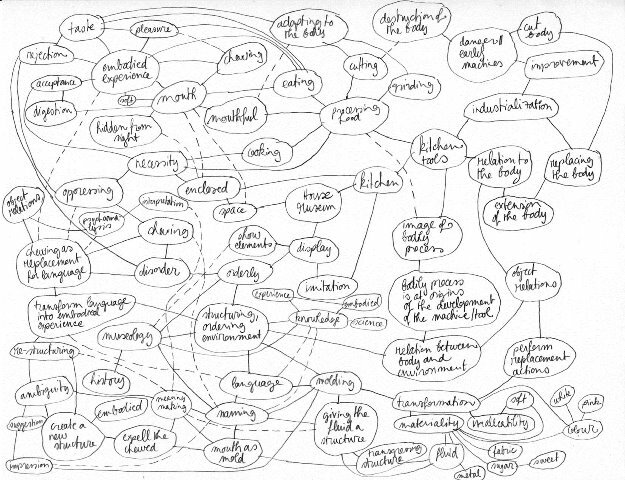 xCoAx is designed as a multi-disciplinary enquiry on arts, computers, computation, communication and the elusive x factor that connects them all. Find more detailed images of the pieces under this blog post. 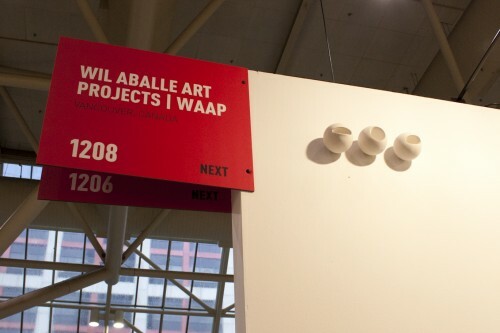 Wil Aballe from WAAP will be at Art Toronto presenting some of my works. Visit WAAP at booth #1208. Here’s the link to Art Toronto. 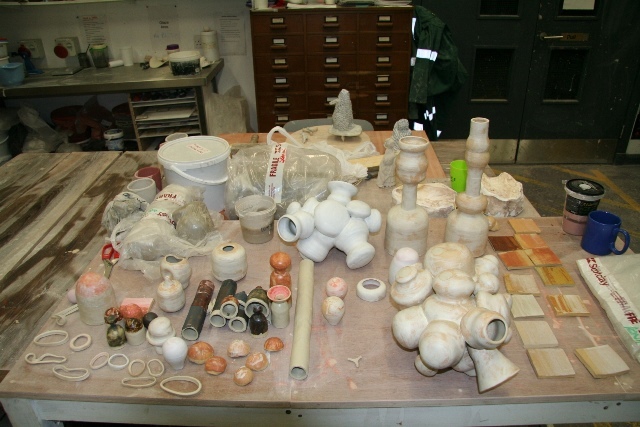 In November I will spend three weeks at Scottish Sculpture Workshop for an Emerging Artist Residency. 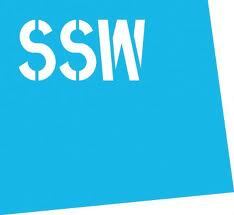 Here’s the link to SSW. The Women’s Products embroidery project is inspired by the artifacts and time period (early 1900’s) presented at Mackin House Museum, Coquitlam. It consists of an embroidery that takes up the size and manner of an artifact on display at Mackin House Museum. 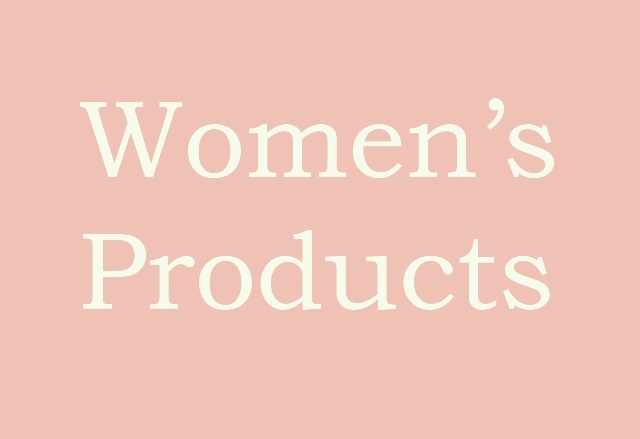 Instead of representing items of technical origin and progress as the original does, the Women’s Products embroidery displays a series of women’s products of the “1908 Sears, Roebuck Catalogue” also present in the Museum’s collection. The Women’s Products embroidery hangs in the historical changing room of the museum. There it sheds light and sparks discussions on aspects of women’s lives that are rarely presented in public settings. At Mackin House Museum, 1116 Brunette Avenue, Coquitlam B.C. The exhibition is made possible with the support of Coquitlam Heritage Society and Ministère de la Culture – Grand-Duché du Luxembourg. I am showing “Spoon”, “I Will Speak The Words It Would Say If It Could Talk”, and a new piece “Funnels” at WAAPART in Vancouver. “Vocal Tracts is inspired by early phonetic research and physiological descriptions of mouth and voice, a recurrent theme in the work of Patricia Huijnen. Huijnen is working with the evocative nature of objects in a surrealist way, provoking a formal and sensed resemblance between everyday artifacts and the human body. 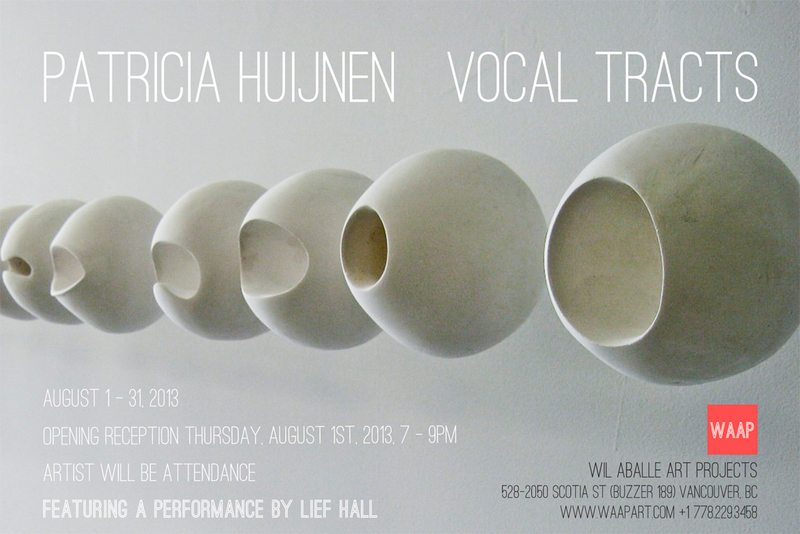 Ceramic, funnel-like objects, plaster spheres, a bitten spoon reminiscent of the vocal cavity thematize a sensed, embodied experience. The shapes and materials used also reference the domestic character of the WAAP space. Here’s a link to an article in the Vancouver Sun newspaper. View images of the show on the WAAPART Website. The exhibition is made possible with the support of Ministère de la Culture – Grand-Duché du Luxembourg. 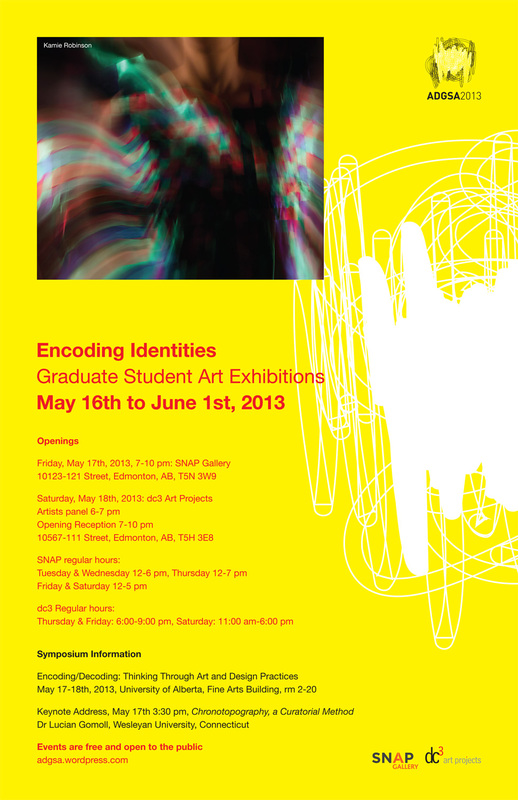 The Art and Design Student Association of Edmonton (Canada) is organizing a group show at SNAP Gallery and DC3 Art Projects under the Title “Encoding Identities: Spectatorship and the Subject”. Three poster size prints of my “Diagram” drawings will be shown at SNAP Gallery during May 2013. Opening event is on May 17th from 7:00 -10:00pm. Link to the ADGSA WordPress Site. My audio piece “How to sing” created during artist Sara Browne’s project Scarcity Radio will be released on CD under the title “Slow Boat Sounds Summer 2012”. The CD will be available at the Contemporary Art Gallery in Vancouver and at Ikon Gallery in Birmingham, UK. Show will be open Monday and Tuesday, August 27-28 from 11 a.m. to 5 p.m. Closing exhibition party: Tuesday, August 28th 2012, 7-10 p.m. The exhibition presents work by Kristina Fiedrich, Patricia Huijnen, Jeremy Green and Jeff Ladouceur. Fiedrich’s precise and exquisite watercolour drawings explore embodiment, externalizing the internal body. Patricia Hujinen uses her mouth as a sculptural tool and oral cavity as a mold, creating sculptures that are bitten objects, embodying the memory of the chewer. Jeremy Green presents new paintings that evoke life at the moment of rupture, both sensual and repulsive, and Jeff Ladouceur’s meticulous works of ink and graphite on paper embody complex human experiences through motley scenes of tragicomedy. Scarcity Radio is a project by artist Sarah Browne. From July 21rst to August 18th the Slow Boat (Ikon Birmingham) broadcasts field recordings from London and a series of sound works by young people from Canada, produced through Sarah Browne’s satellite workshop, Scarcity Radio Vancouver at the Contemporary Art Gallery. 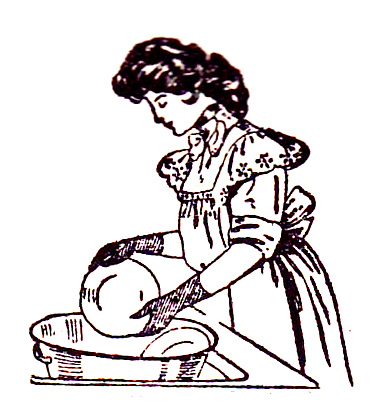 Listen to my audio work “How to sing” on the Scarcity Radio website! 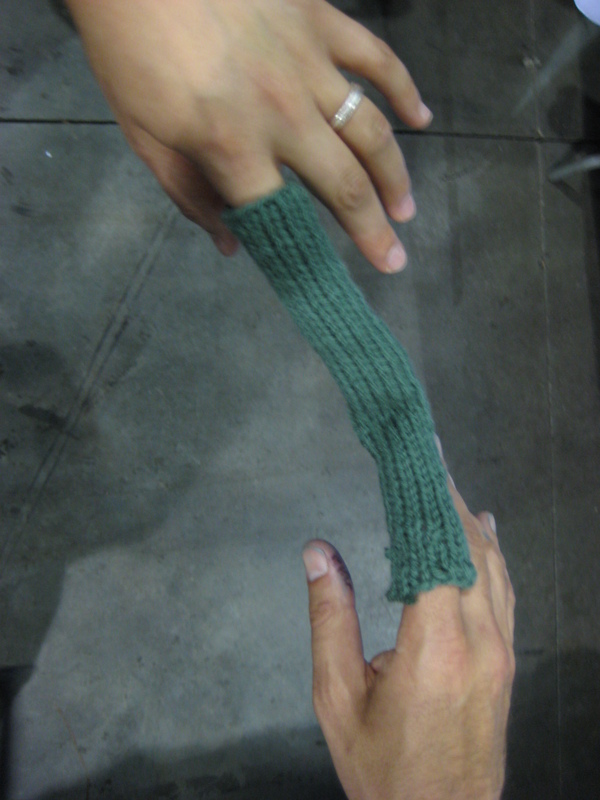 Participative Knitting project launched by the Maker Faire for June 23rd-24th 2012. 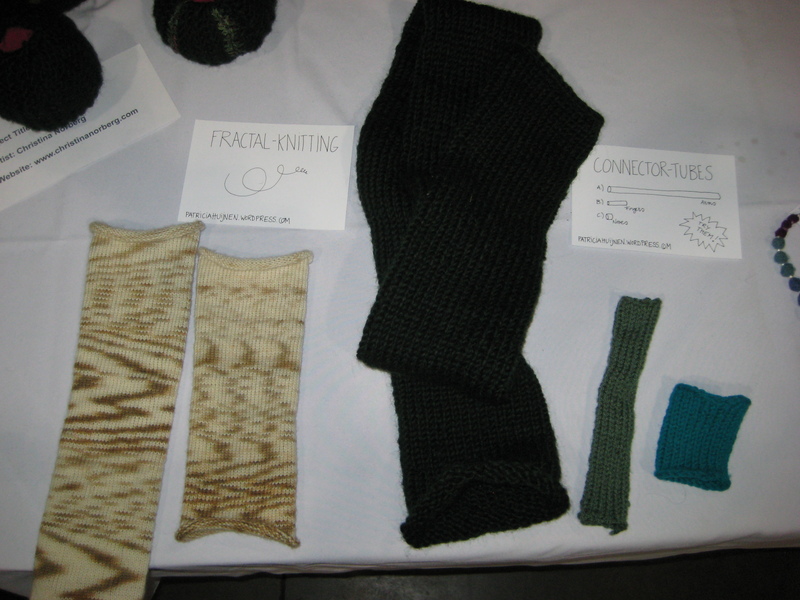 The pictures show my “Fractal Knitting” experiments and “Connector Tubes”. 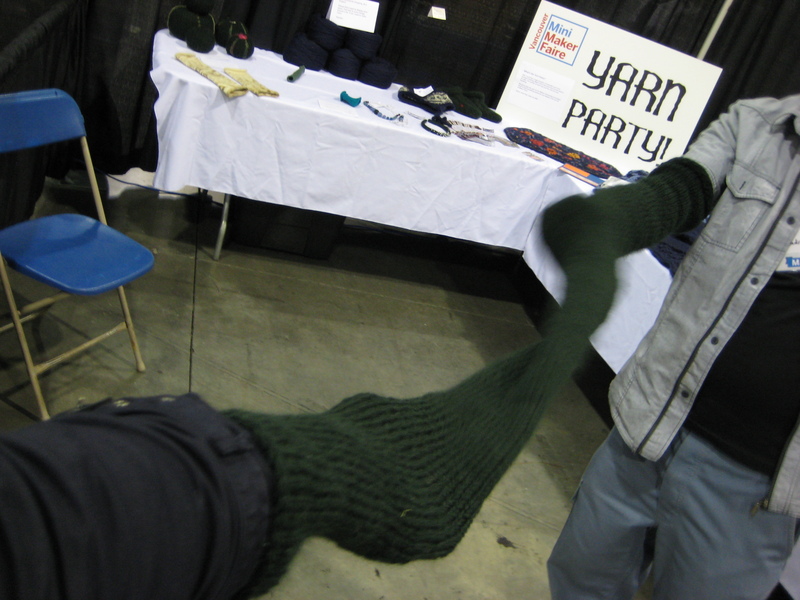 Here is the link to the Yarn Party Project and the Flickr Group. 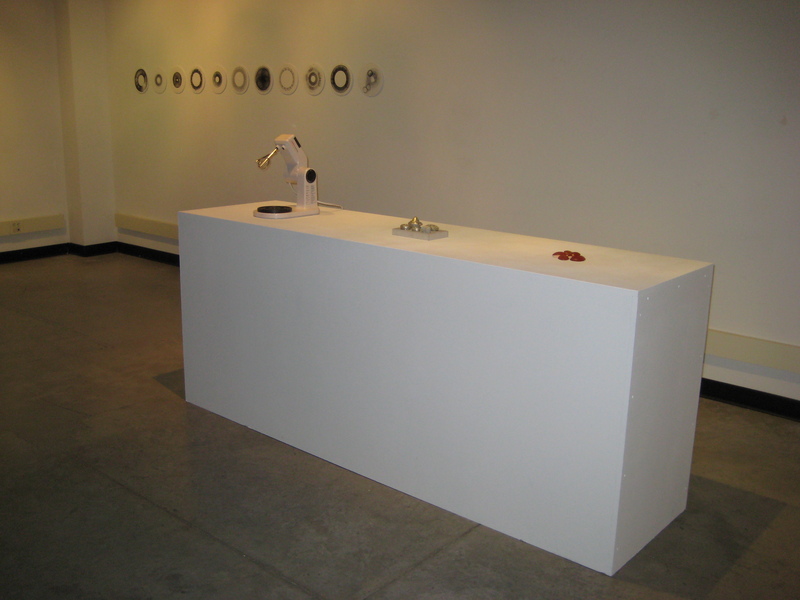 From May 6th until May 20th 2012 the MAA Degree Show is displayed at the Charles H. Scott Gallery on Granville Island. The show is open daily from 10am-6pm. 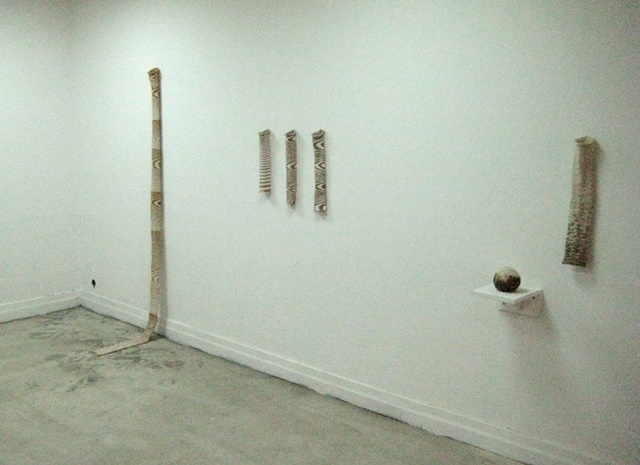 View of the exhibtion: “Spoon”, “Weights” and “I will Speak the Words”. 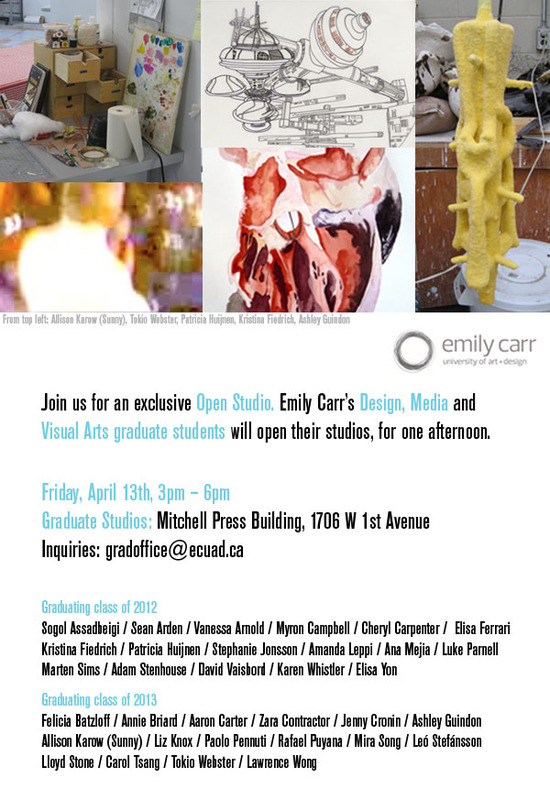 Please join us at our Open Studio event at Emily Carr University on April 13th 2012. 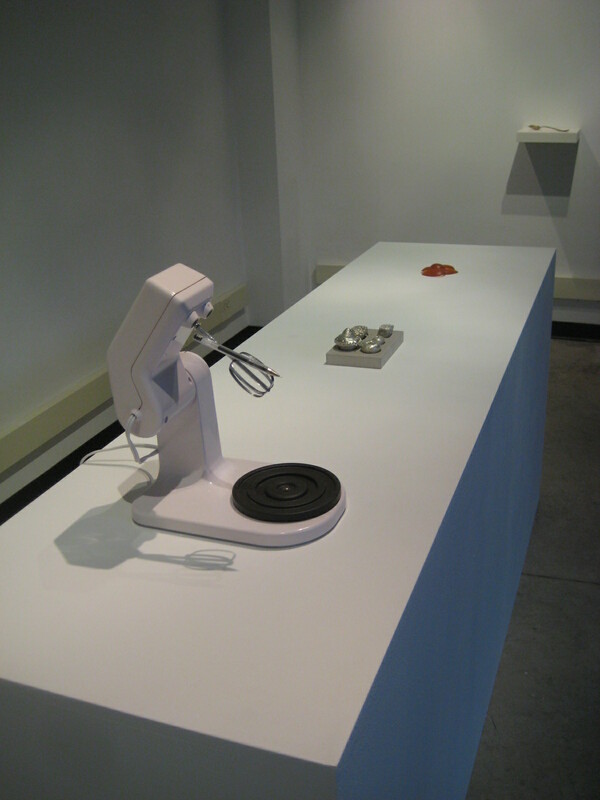 “In “Kitchen Science”, sculptor Patricia Huijnen and machine artist Andres Wanner examine moments of instability in relation to the body and technology. Patricia Huijnen explores the bite and the mouthful as measuring units, relating to the obsolete practice of using the individual body as a reference. 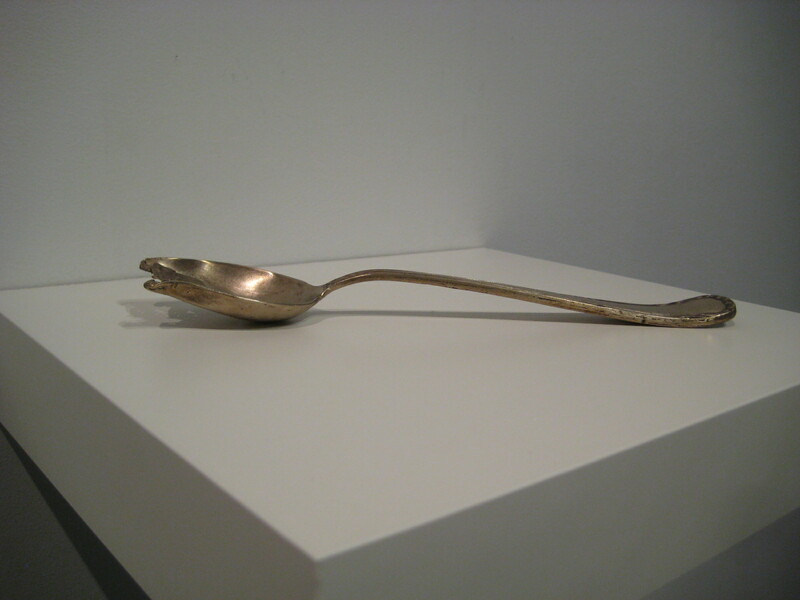 My works “Spoon” and “Jawbreaker” will be on show for the “Unstable Natures” Symposium 2012 organized by the ADGSA Association of the University of Alberta. The Exhibition takes place at Latitude 53 in Edmonton, Alberta. Find a link to the ADGSA blog and Latidue 53 here. 36 Artist’s books from the Emily Carr University Library. With books from Dieter Roth, Eduardo Kac, Hans-Peter Feldmann … and the MAA class. 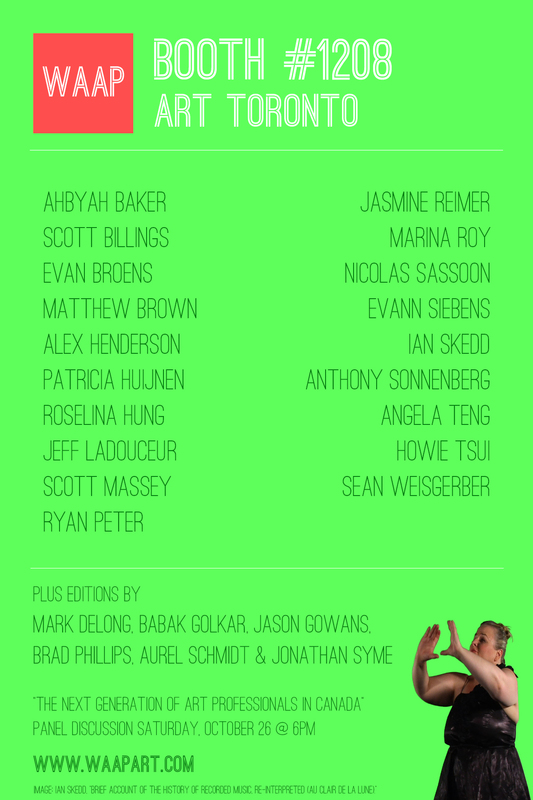 Opening of the MAA exhibition on April 1rst 2011 at 6pm at Emily Carr University.